Historically, the social media aspects of selling have been controlled by marketers. Sales people traditionally are kept out of the loop until after a new lead is generated. In today’s business landscape, successful sales reps are taking control of emerging social technologies to bring in new leads and close deals more quickly, marking the onset of a new era in social selling. On Aug. 31, Dreamforce ’11 will host a session on tips and techniques addressing how businesses can effectively adopt the integration of sales and social media as a new norm. Dreamforce is an annual event that brings leaders in cloud computing together to collaborate, connect and inspire. Attendees will be exposed to ways that the latest cloud computing can help their businesses succeed through breakout sessions, hands-on training, networking events, keynote speakers, interactive demonstrations, in-depth discussions, technical training and more. TopRank Online Marketing CEO Lee Odden joins a panel of Salesforce.com and Radian6 professionals at Dreamforce to discuss the 7 Steps to Get Ahead in the Social Sales Revolution, a new whitepaper published by Salesforce.com. Odden will discuss how sales reps can master the art of being useful to prospects in a way that inspires new business inquiries. He’ll share practical examples of companies leveraging social channels like Facebook, Blogging and Twitter to develop a community and inspire interest in products and services. 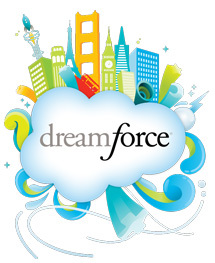 Stay tuned to the TopRank Blog for a live blog session from Dreamforce ‘11.